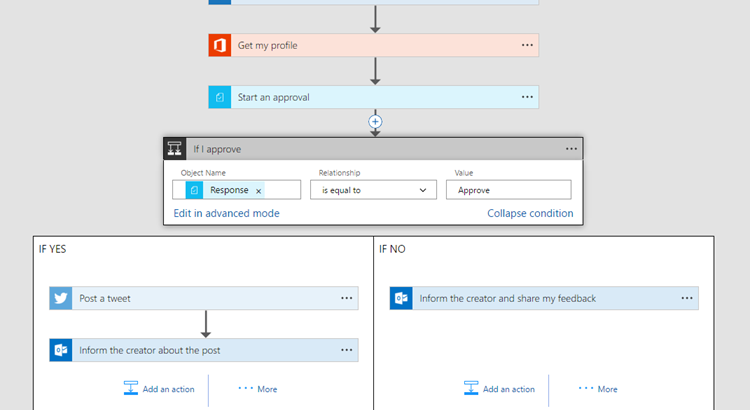 Yammer: Edit Post is Here! Over the last few months, we’ve been on the ground asking users what features they would like to see in the Sway app. 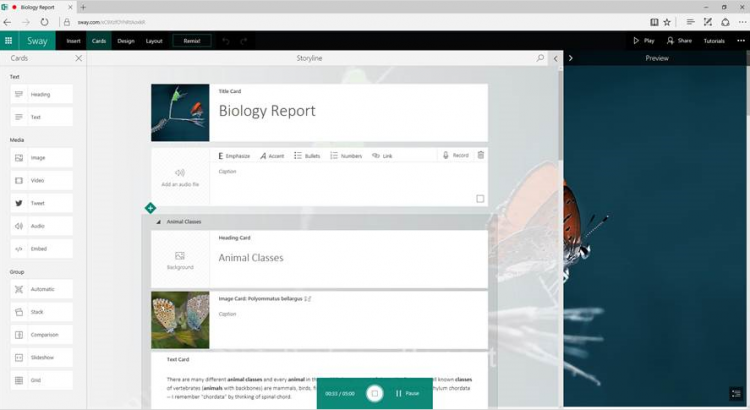 We heard all the ways you use Sway in your personal, school and work lives, and listened to tons of great recommendations on how we could make these experiences even better. As a result of this partnership, we’re proud to announce another round of updates from the Sway team. The ability to add audio to Sways was the top request from educators—as students and teachers (among others)—love to express their ideas and thoughts in this natural and intuitive way. Now, you can add audio recordings to make your Sway more interactive and engaging. With the Microsoft mission to empower every person and every organization on the planet to achieve more, we continue to add features to improve accessibility. We are excited to announce that authors can now associate closed caption files with their audio recordings or audio files added from their local drive or OneDrive/OneDrive for Business. Office 365 authors can also associate closed caption files with any video files uploaded from their local drive or from OneDrive for Business. First, add a new video or audio card to your Sway—by either uploading the content, recording it or adding the content from your OneDrive/OneDrive for Business account—and then expand the card using the Details button. Next, click the Add closed caption button at the bottom of the expanded card and select your closed caption file (.vtt format) and the language it is in. When viewing a Sway that has a video with closed captions available, it is easy to simply select the option to turn closed captions on and the language of the closed caption they’d like to see. Sways are now easier to navigate. Jump back and forth between sections or get a glimpse of the Sway content—all from the new Navigation view. When you click or tap the Navigation icon (in the bottom-right corner), the Sway fades into the background and the Navigation view appears. Your Sway title, section headers, images and text collectively form an engaging and informative navigation view. Click or tap each section tile to jump to that section, or scroll to see more sections if your Sway is longer. You told us you wanted to automatically play and continuously loop a Sway for unattended cases such as billboards. We’re happy to announce that, if you have an Office 365 subscription, you can now set your Sway to play automatically! If you are the author of the Sway, use the … menu on the top right to go to Settings and turn autoplay on. Additionally, you can autoplay any Sway you are viewing by clicking the Settings gear at the top right-hand corner of the Sway. In the Autoplay settings box, set the delay and then press Start. The Sway will now play automatically. Once the Sway is playing, you can change the delay, pause or stop playback using the controls on the bottom-right corner. We also heard from our users that they want to know how engaged their audience is with their Sways. Now, authors can see how many people have viewed their Sway. We officially started the view count on March 13, 2017, so if you see “No data,” this means that the Sway has not had any viewers since that date. We hope you enjoy using the newest features in Sway, and as always, we look forward to your suggestions, feedback and comments on our UserVoice page. Improve the consumption of your news. 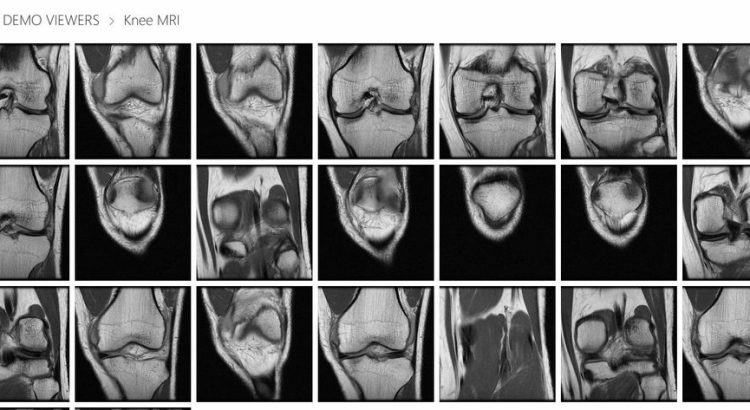 Microsoft enables a personalized view of all team news published to users right on their SharePoint home in Office 365 (click the SharePoint tile within the Office 365 app launcher). News is easy to read from across the sites they are active in, sites they follow, as well as other news suggested by the intelligence of Microsoft Graph. At the top of SharePoint home, you will now see News from sites. It’s easy to see what the news is, where it’s coming from, how it’s trending – and you’re one-click away from reading the article in it full fidelity, no matter what operating system or browser you are using. And to see all your news, simply click See all to go to the dedicated, personalized news rollup page. 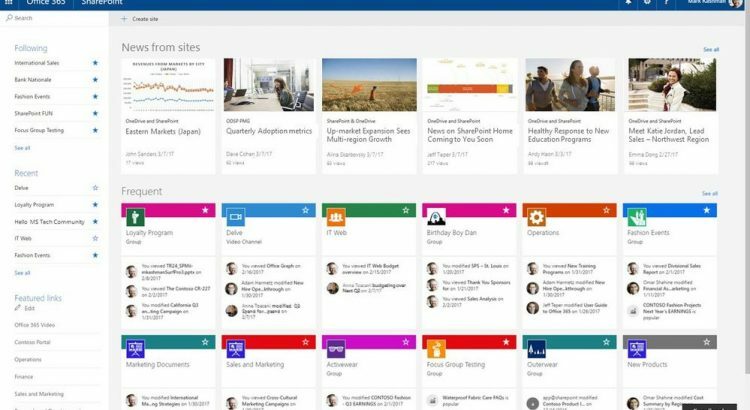 With the addition of team news, SharePoint home evolves into an intuitive, single location to see what’s happening in all your sites and portals, perform enterprise-wide search, create new sites — and now read all the news around you. 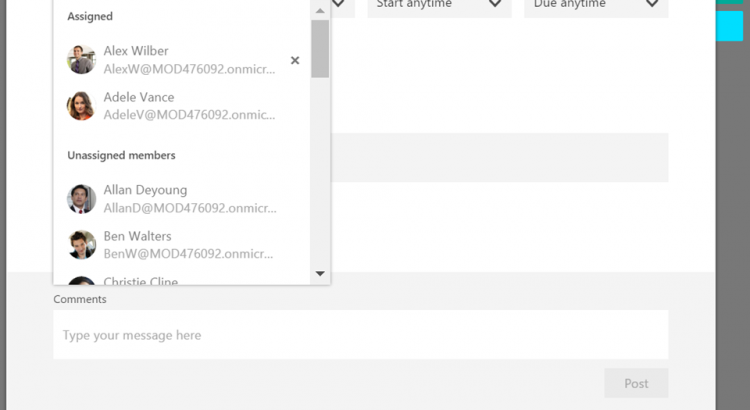 Learn more about how to find news, sites and portals in Office 365. When you consider all of this, plus the plethora of other files we support viewing, including Office files (where we support editing and coauthoring across web, desktop, and mobile) to even viewing and editing source code, we hope it’s clear that OneDrive is the place for all your files! We aren’t done of course, and we will keep bringing even more file formats to our viewers in the future and will keep you updated as we do. Finally, we’re eager to hear from you on what formats we should tackle next – either in the comments below, or on our UserVoice site, here – https://onedrive.uservoice.com. 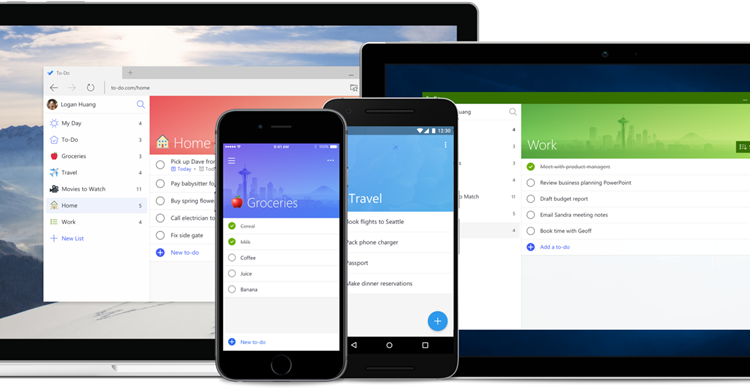 As of today, Microsoft Planner users can assign multiple people to a task—a feature that tops the list at planner.uservoice.com. Now, users can assign more than just one user to a task in Planner, and every user that is assigned the task will see it on their My Tasks page.